Unfortunately, the majority of organizations will never reach the higher levels of guest satisfaction, and it’s not because they are not trying hard enough. 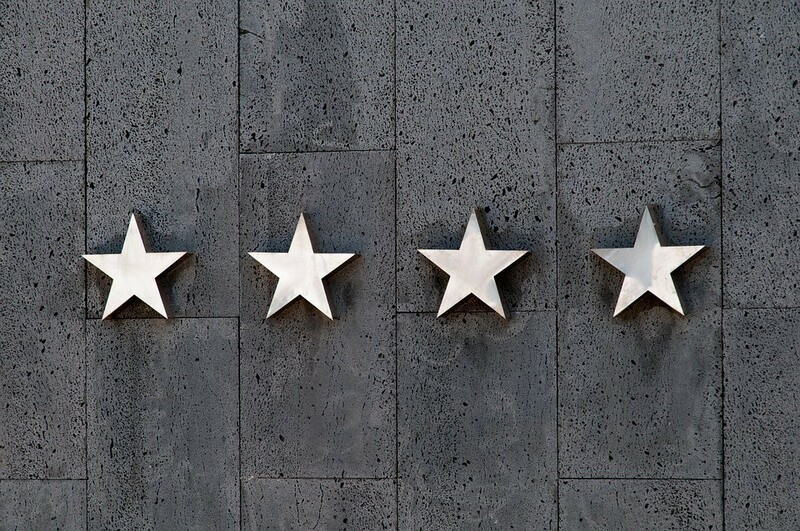 Achieving the 4.7 level of satisfaction from your guests is very much a conscious approach. Some businesses approach this endeavor with a one-sided effort. They feel that as long as they have provided a great experience with great customer service, the 5-star ratings will come pouring in. These elements are important and they do form the foundation of your rating, but it takes much more than that. The internal operations of your organization will influence every level of service, from the systems by which your employees operate, to the final service delivered to your guests. The final product of customer service and guest satisfaction is a reflection of your internal service. Internally, there should be smooth operational standards followed by the entire team and it’s these standards that deliver the best possible external service. External service is all that matters from your guest point of view. This is the final result they see and experience, and the service that will reward you with the coveted 4.7 stars. On the guest side of operations, your organization will have to master the art of satisfaction. Attention should be paid to every interaction you have with your guest, and service should be delivered above and beyond expectations. Your organization can reach high levels of success with just internal and external service. But there is a missing component that’s required to reach elite status. It’s this secret component that remains a mystery to most, and it’s where everything comes together. The mystery service is the links that bring together your internal and external efforts. It’s the system of checks and balances for both sides ensuring your objectives are met. Once your organization implements this mystery component, it’s only a matter of time before you reach the 4.7 level of satisfaction. So what is this tool that will catapult your organization to an elite status in customer satisfaction: it is mystery shopping. At the Reality Based Group, we specialize in applying these principles to help you reach the highest possible ratings. A 4.7 rating on the surface may seem purely external, meaning that the business didn’t take an active part in the process. But the truth is, achieving ratings of this mark will require your organization to actively participate internally, externally and at the mystery level, most businesses are unaware of. Contact us today so we can create an effective and achievable plan to acquire your 4.7 guest satisfaction rating.